Greenwood Raptors | Cherokee Co N.C.
MURPHY, N.C.- On an overcast day, the Murphy Bulldogs hosted the Greenwood Raptors for a rescheduled 2 p.m. football game at Bob Hendrix stadium today. The Bulldogs defense and offense came ready to play. There was a focus in the eyes of the Bulldogs today we didn’t see last week. After the first quarter, it was already looking like a blow out, with the Bulldogs scoring the first 27 points to the Raptors 0. 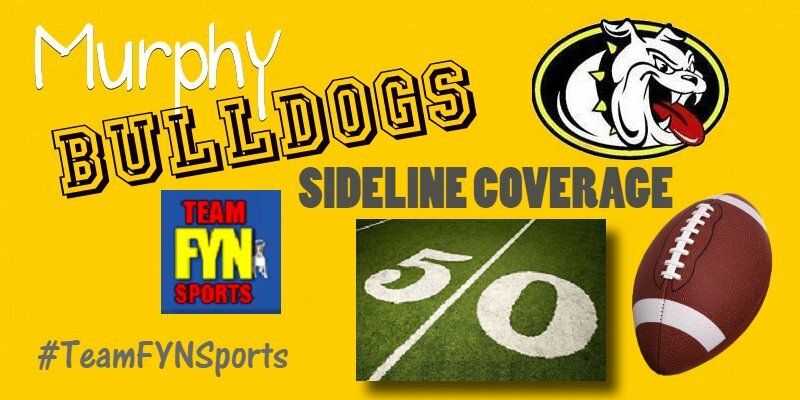 The final result would be a called game in favor of the Bulldogs, with the game ending at the end of the 3rd quarter, with the Final Score Murphy Bulldogs 55, and the Greenwood Raptors 16. Highlight of the game was #3 Katelyn Jones kicking 7 extra points! She is my #TeamFYNSportsPlayeroftheWeek ! To watch all of our videos, subscribe to our YouTube Channel – Fetch Your News.